A yellow-brick road, a city made of emeralds, and a girl from Kansas wearing magical shoes: welcome to The Wonderful Wizard of Oz! 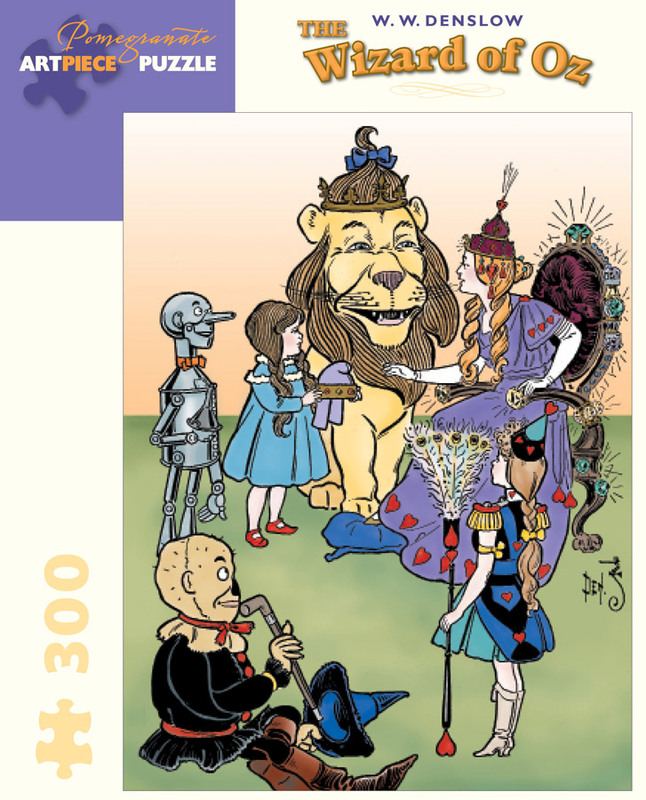 Written in 1900 by L. Frank Baum, the story sets Dorothy and her dog Toto on the path to see the Wizard, only to meet an unlikely trio also in need of wizardry: the Scarecrow, the Tin Woodman, and the Cowardly Lion. 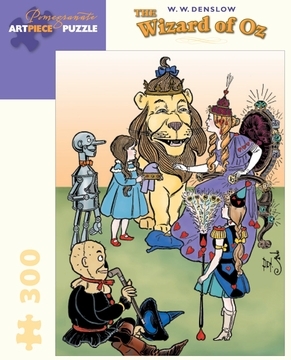 The book was illustrated by William Wallace Denslow, and in the picture shown here (the last one in the book) Dorothy presents a golden cap to a good witch named Glinda. Moments afterward, Dorothy is back home in Kansas. But her adventures continued, as Baum wrote thirteen more Oz books.